Is Your Company’s Intra-Family Auto Liability Exclusion Enforceable? You are here: Home / Exclusions Generally / Is Your Company’s Intra-Family Auto Liability Exclusion Enforceable? Nevada law authorizes insurance companies to enforce exclusions that limit or eliminate intra-family liability for bodily injuries. NRS 687B.147. Or so said the Nevada Supreme Court in Progressive Gulf Ins. Co. v. Faehnrich, 130 Nev. Adv. Op. 19, 327 P.3d 1061 (2014). However, as we mentioned in our explanation of Faehnrich, the Court made only a passing reference to NRS 687B.147, the law that allows such a limitation or exclusion. The court did not provide any sort of analysis of the law. And there have been no cases that have interpreted the statute. So the Nevada Law Blogs decided to take on this analytical task. And what a task it was. The statute itself is remarkably confusing. Perhaps that is because it is the product of the messy lawmaking process that some have compared to “sausage making”. However, by looking at the legislative history, the statute becomes more clear. The history shows that the purpose of the original bill was meant to legislatively overrule the Nevada Supreme Court case of the Estate of Neal v. Farmers Ins. Exch. 93 Nev. 348, 566 P.2d 81 (1977). If you want to read about that case here is a link to my summary on the internet. HERE. In that case, the Nevada Supreme Court said that insurance companies could enforce intra-family exclusions. Apparently, certain member of the legislature didn’t like the Estate of Neal decision. They wrote a bill that prohibited insurance companies from enforcing any intra-family exclusion at all. Nevada Law Blogs invite you to read the highlighted sections of the legislative history attached HERE. Over the course of the legislative session, the original bill was amended that allows for intra-family exclusions or limitations. However the law now requires that such provisions can only be enforceable if the insurance company discloses the limitation / exclusion to the insured in writing and the insured signed a proper waiver of the exclusion / limitation. Similar written waivers are widely known and used when insurance companies want to enforce an insured’s election to waive UM / UIM coverage. NRS 687B.145. See HERE. This legislative history of NRS 687B.147 seems to clear up any statutory ambiguity. The history supports the argument that the insurance company has the burden to produce the written waiver of intra-family exclusion or limitation if it wants to enforce its policy provision. Insurance companies that want to satisfy the requirement of NRS 687B.147 have created forms similar to those used in UM / UIM elections situations. HERE is an example of one such form. Despite the statutory ambiguity, Nevada Law Blogs anticipate that an insurance company will have the burden of producing the waiver / limitation if it wants to enforce such a policy provision. 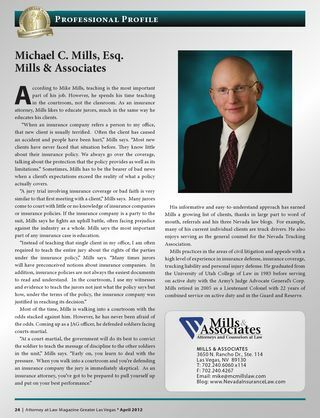 If you have questions about whether your company’s intra-family liability exclusion or limitation will be enforceable, please contact Mike Mills at Mills & Associates. 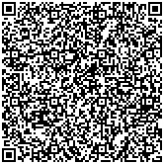 He can be reached as 702-240-6060×114. He will be happy to discuss your case.